Lets us SHOUT about your business! Television advertising is a powerful and effective way of communicating sales and marketing messages to the viewer. 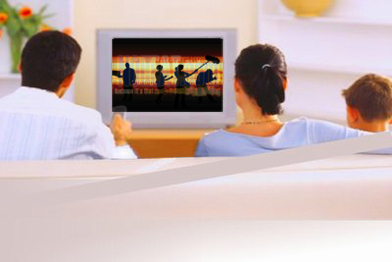 TV commercials ensure you profit from a wide exposure and create awareness about your company. While still expensive compared to other forms of promotion, TV adverts are not as pricey as many people think. The first thing you must do is to find a station and channel that fits your particular target audience. For example, you will find that most daytime lifestyle channels are filled with adverts for loan and insurance companies – and with good reason. The competition for the target audience of these companies is very competitive and you only have to look at how many times the advertisements are repeated to realise they work. At SLS Advertising Services we can advise you on how to get your TV advertising off the ground, give you ideas on what kind of a campaign that will be benefit your business and put you in touch with production companies who will create the final advertisement. Advertising on TV needn’t be beyond your means if you take the right advice. At SLS we can provide it.